We carry a huge range of solar hot water controllers and replacement sensors. 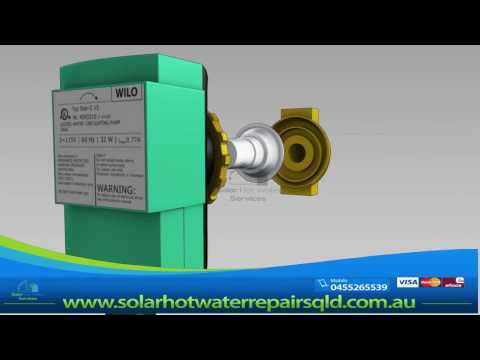 Solar Hot Water Repairs will repair or replace any brand of solar hot water system or hot water system. We are mainly based on the Sunshine Coast can easily fix system in a wide range of areas in Queensland. The Dux Hotlogic controller is unique to the Dux and Ecosmart brands, they are reliable and easy to work with. We are able to repair Dux solar hot water systems and carry replacement parts for these units. We will offer an upgrade on some models with an aftermarket controller with digital display but this depends on the installation and access. Some of the earlier models of solar hot water controller used in the systems were the CAPS Deltasol B controller. We generally replace this unit with the RESOL Deltasol BS/4 solar controller as the CAPS version tends to have a relay failure around the 4 to 5 year mark depending on the controllers usage hours. Common symptoms are the pump won't turn on at all or it may be the opposite and continually be trying to run. This same controller was used in earlier Conergy solar to water systems. The Hotlogic controller must be wired according to the diagram shown right. If there are any red status lights visible, see the tables below for an explanation.